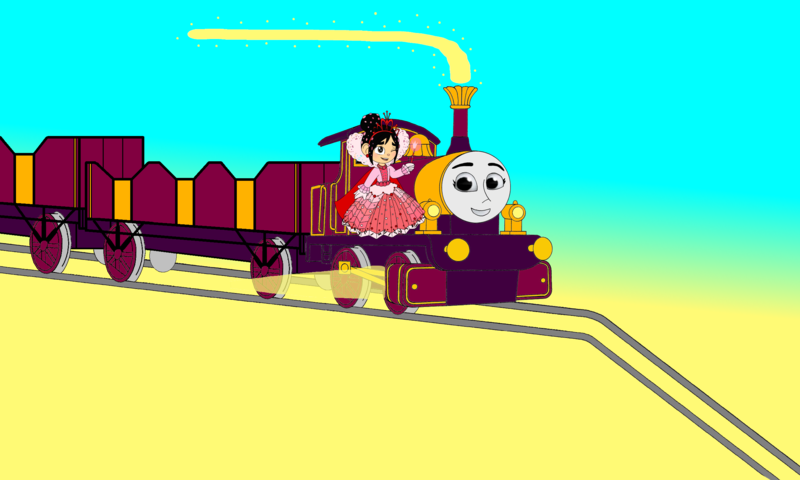 Lady & Vanellope go down the Mountain পাহাড়. . HD Wallpaper and background images in the Thomas the Tank Engine club tagged: photo. This Thomas the Tank Engine photo might contain ধাতু কর্তনের জন্য করাত, হ্যাক করাত, ধাতু করাত, hacksaw, hack saw, and metal saw. 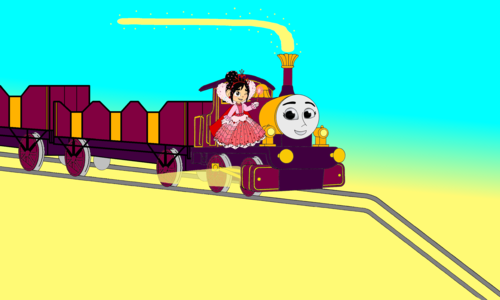 Thomas and Friends- Happy অথবা Sad?